This is a great promotion for clearing out older inventory and making way for new items coming in. When it's time to start thinking about making room or you've accumulated too much inventory use it as an excuse for some fun and to promote your store! This one is pretty simple. Set aside one hour (or three or a whole day) for a large sale or clearance event. When promoted make sure to act like you are keeping a big secret from everyone who didn't receive the "special Invitation". Send out an eBlast, letting your regular customers know your goal is to have a large sale. 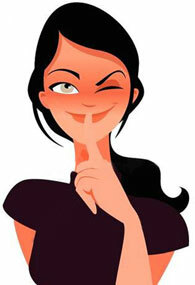 To grab their attention, ask them if they can keep a secret. People love secrets! The invitation should let your customers know it's a onetime only (at a specified time and date) 70% off (or whatever you wish) most everything sale. Obviously you will have to keep a few items not on sale, but make sure to clearly mark everything. Marking sale items by case will conserve time and be simpler for your staff and for customers. Ask your customers NOT to tell their friends because while you are clearing out brand new merchandise to make room, you and your staff simply couldn't handle it if too many people showed up. Tell them in the eBlast invitation that you are only letting your better clients know so they can receive the best deals possible! Remind them to mark their calendars and keep it a secret. Use this promotion to clear out merchandise for a nice cash boost right before a big show. Also it will make customers feel special to receive an invite and add an air of mystery to your event.